Expand our target audience and inform people about the incredible shots that you can take with GoPro cameras. You can participate, fully capture and later relive your peak experiences with GoPro. The print ads introduce the campaign. The outdoor installments brings the spirit of GoPro out into the community and involves new consumers. Both outdoor and print lead people to the microsite. 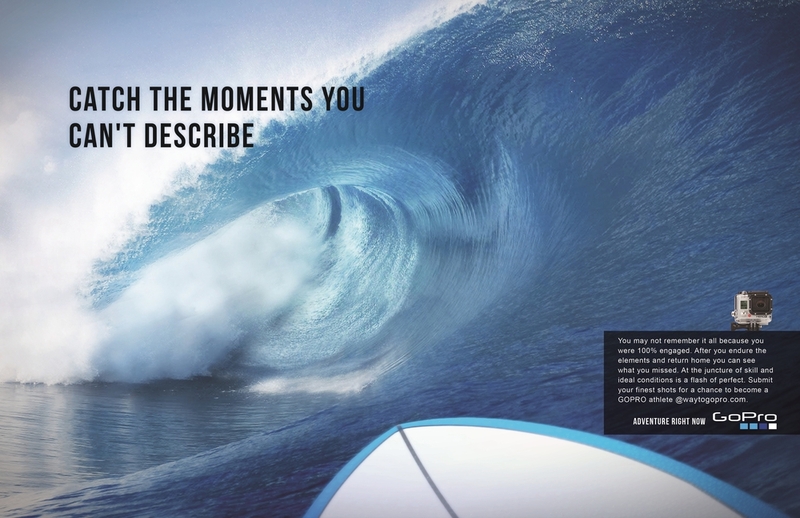 Within the microsite they can further engage with the brand and enter a competition and become a sponsored GoPro athlete.